Roma, capital of modern Italy and one of Europe’s key capitals, is one of those unforgettable cities that allows you to straddle time. Visiting such landmarks as the well-preserved Colosseum, you can travel back two and a half thousand years to the dawn of Western Civilization; wandering its lively streets and talking with its passionate residents and discovering its delectable cuisine, you will become blissfully lost in the present moment. 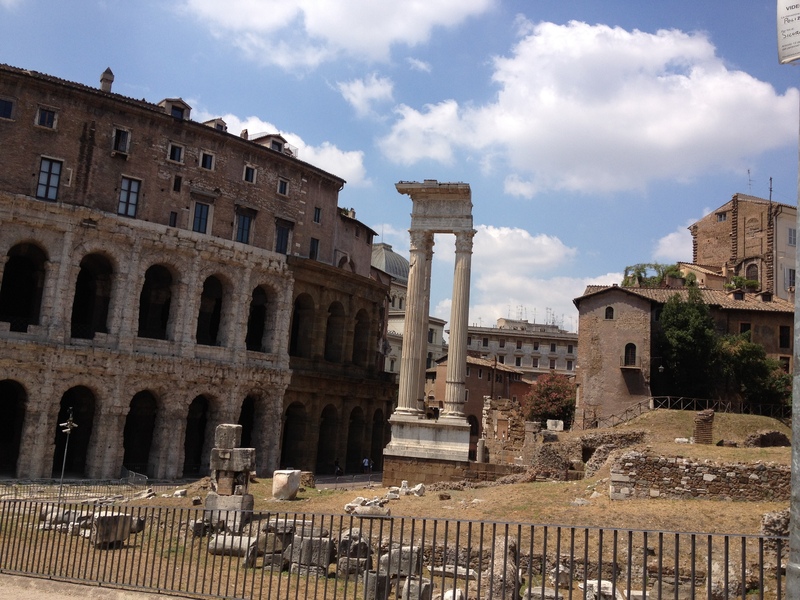 Rome is a must-see for anyone interested in the evolution of Western Civilization. Its artists, politicians and philosophers have made an indelible mark on Western society, government and culture – and continue to do so. Rome also holds a significant place in the story of Christianity up to the present day, for it endures as the seat of the papacy. The Roman Catholic Church is administered from the Vatican City, the world’s smallest sovereign state. While greater Rome is quite modern and cosmopolitan, the historic city center remains essentially Renaissance and Baroque in character, as Rome was one of the few major European cities that escaped World War II relatively unscathed. According to City Brands Index, Rome is thought to be the second most exciting and attractive city in the world. Click here to visit our Rome Private Tours section and explore this gateway to Italy further! Why book your Vatican private tours and private Rome tours with Well Arranged Travel? The company specializes in customized upscale and luxury private tours of Rome and Vatican private tours conducted by exceptional tour guides. Their expert tour guides in Rome and professional drivers are carefully selected to meet the high standards expected by their discerning travelers. Well Arranged Travel’s expert tour guides conduct their private tours of Rome. Their private tours include the amazing Ancient Rome tour, a private tour of Rome’s Colosseum, the Roman forum and the Pantheon. In their private panoramic driving tour of Rome called Rome Discovery tour, you will see Rome’s well known treasures as well as interesting less known sites, and various neighborhoods scattered around Rome beyond the touristy city center. This upscale and private Rome Discovery tour is a perfect introduction to the city of Rome that is recommended to complement both the guided Ancient Rome tour and the guided Vatican tour. Private Vatican Tours, Vatican Museum Tours & Sistine Chapel Tours – Skip the long lines and book a private tour of the Vatican museum which also tours the Sistine Chapel and St. Peter’s Basilica. Their licensed Rome tour guides and Vatican tour guides for the guided Vatican tours get booked well in advance. Only a handful of Rome and Vatican tour guides meet our high standards for our guided tours of Vatican museum and Sistine Chapel. Also for our guided Vatican tours we purchase Vatican tickets with appointments in advance to bypass the long lines at the Vatican museum. Your Vatican private tour includes a guided tour of the Vatican Museum and the Sistine Chapel with an expert Vatican tour guide. A visit to the Egyptian rooms, complete with a couple of mummies, may be of interest to the younger visitors. For art lover’s Raphael’s room may be included in your private Vatican tour. Your private Vatican tour ends with a tour of St. Peter’s Basilica, the largest church in the world. Italy – Rome Group Tours, Rome Small Group Tours, Escorted Rome Tours – Interested in an Italy small group tour that includes Rome? Join of our upscale Italy group tours to Rome, Florence and Venice, the perfect tours for first timers to Italy. Group tours to Rome, Florence and Venice or our Rome group tours with Sorrento, Amalfi Coast and Capri. There are other group tours to Rome that include other destinations. A short mini – group tours of Rome can be added to our group tours to Tuscany & Umbria, for example, a fantastic trip to Italy. Please review our Group Tour Calendar for a list of our France and Italy trips. Let Well Arranged Travel craft an upscale to luxury private Rome tours, Rome custom vacation for you and your group. Whether you are planning a family vacation in Rome, honeymoon, a family reunion or group trip, our expert Rome tour specialists can arrange the perfect Rome vacation or Rome private vacation. We will secure your hotel, train tickets, airport transfers, private car service and design an itinerary with private tours of Rome and beyond. Interested in a upscale or luxury custom vacation in Rome? Please read on. Rome Day Tours, Rome Private Tours – You aren’t limited to the published private Rome tours we offer –only to your imagination. For a perfect day in Rome, we can design a customized, fully guided and private Rome tour, a Rome day tour that mixes and matches a variety of shorter tour options. You can combine a panoramic driving tour of Rome, a tour of the Jewish neighborhoods of Rome, visits to the gourmet markets in Rome, shopping and much more. ABOUT THE CATACOMBS. This Rome private tour will take you to one of Rome’s famous the Catacombs. You will tour one of Rome’s catacombs, either San Callixtus or San Sebastiano, depending on the day. The “Callixtian Complex” spans nearly 90 acres, half of which are occupied by the famous catacombs. The multi-level galleries are 12 miles long; the tombs number as many as 500,000. The guided Catacombs of St. Sebastian tour in Rome is a fascinating visit. From the reign of Valerian to that of Constantine, the bodies of Saints Peter and Paul were hidden in these catacombs. The basilica was built in the 4th century, where the tomb of St. Sebastian is now found. The miles of tunnels and mausoleums are lined with mosaics and graffiti, along with many other pagan and Christian objects from throughout the centuries. Private Rome Tours: Piazzas & Fountains – Well Arranged Travel offers up to six-hour private Rome walking tour featuring the most magnificent and important squares. Piazzas and fountains that may be visited with your licensed Rome tour guide include: Piazza Del Popolo, Piazza della Rotunda and the Pantheon, Piazza di Pasquino, Piazza di Spagna & Piazza della Trinita dei Monti, Campo dei Fiori, Piazza Farnese, Piazza Campidoglio, Piazza Venezia and Piazza Quirinale. 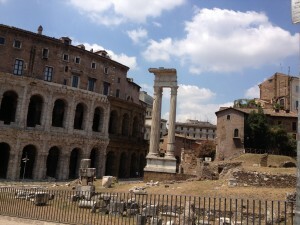 Our private Rome tours, Rome sightseeing tours that interest you may include such classics as the Spanish Steps square, the Pincio Terrace, Piazza del Popolo, the Twin Churches, Piazza Augusto Imperatore, Via del Corso, Piazza Venezia, the Colosseum, Aventino Hill, The Circus Maximum, the “Roman Keyhole,” Appian Way, the Catacombs, St. Paul’s gate, Navona Square, the Four Rivers Fountain, the Campo Marzio, and the Trevi Fountain and Square. All of our Rome tours can be customized according to your wishes. We can arrange Rome tours with driver guides, who will take you on a fun and relaxing panoramic driving tour of Rome, with stops to points of interest.